John Shaw lived on Davenport Street where the observers had their headquarters. He was buried on the 21st September 1937. Humphrey Spender took a sequence of photographs of his funeral. 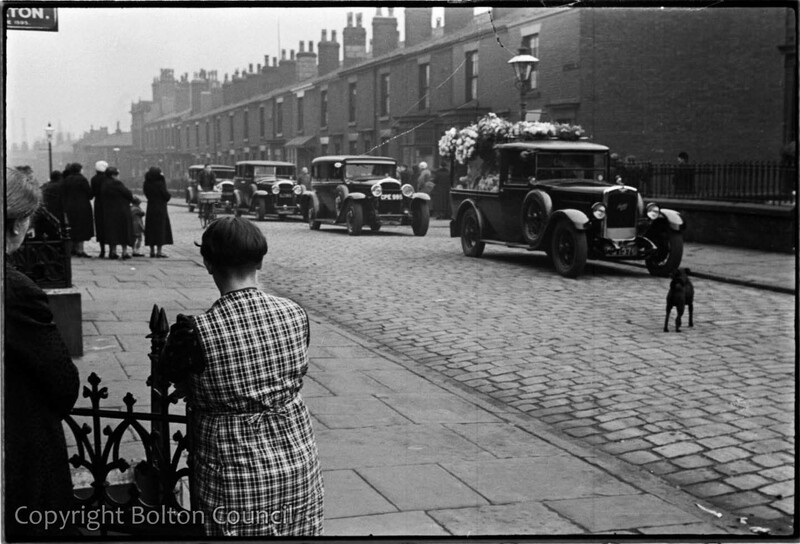 He followed the mourners from Davenport Street to the burial in Heaton Cemetery. He found it a difficult task and said “I suffered very much from a feeling that I was exploiting grief”.